Ahoy!!!! Welcome to Confetti Park, a magical place full of music and stories for children. Aye, You’ll hear lots of songs from the Mississippi delta and beyond as we hear an amazing variety of American music for scurvy buccaneers! This week we are celebrating International Talk Like a Pirate Day! It’s held on September 19… avast… that’s right around the corner! 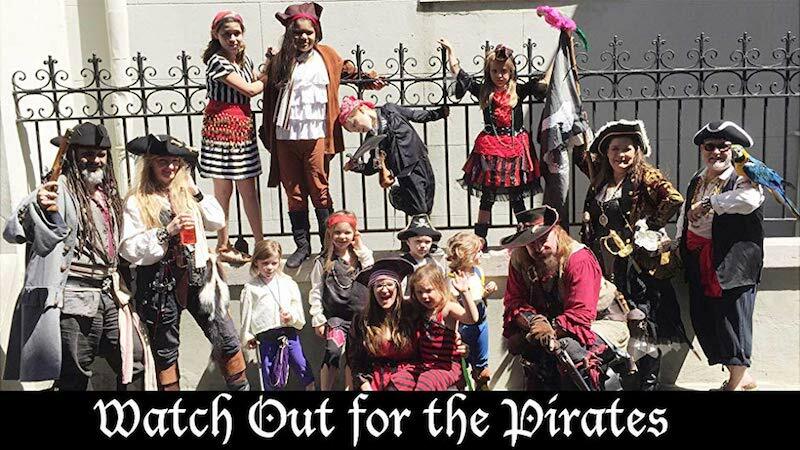 Argh, Mateys I hope you enjoy the song about sailors, too, by Louisiana pied piper Johnette Downing, and the camp favorite “Down by the Bay” by Memphis children’s performer Andrew Best. Then we go dancing, “Allons a Lafayette,” by the Cajun band Feufollet, who started performing together as young buccaneers and are still traveling the high seas today. We also hear a song about that Big Blue Sea from Danny O’Flaherty, an Irishman who relocated to New Orleans (as many a good pirate will do), and then the beautiful “Sri Lanka Fisherman’s Chant,” performed by Katherine Dines, a fine fellow of the Children’s Music Network. I hope ye join me again — yer Mate Katy Hobgood Ray — for more wonderful children’s music from Confetti Park…. and remember to look for the magic in every day! The Confetti Park radio show streams online and airs in cities across the United States, made available to all community radio stations on the Pacifica Network. Check to see if your local community radio station carries it, and ask! Support for Confetti Park comes from the New Orleans Jazz & Heritage Foundation and Music Rising at Tulane University.